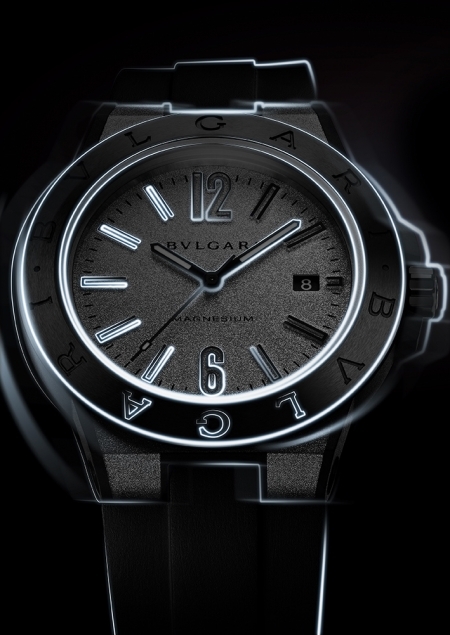 Another luxury brand entering the ‘smart’ foray is Bvlgari with its Diagono Magnesium. This time it’s on the security spectrum of the digital revolution. 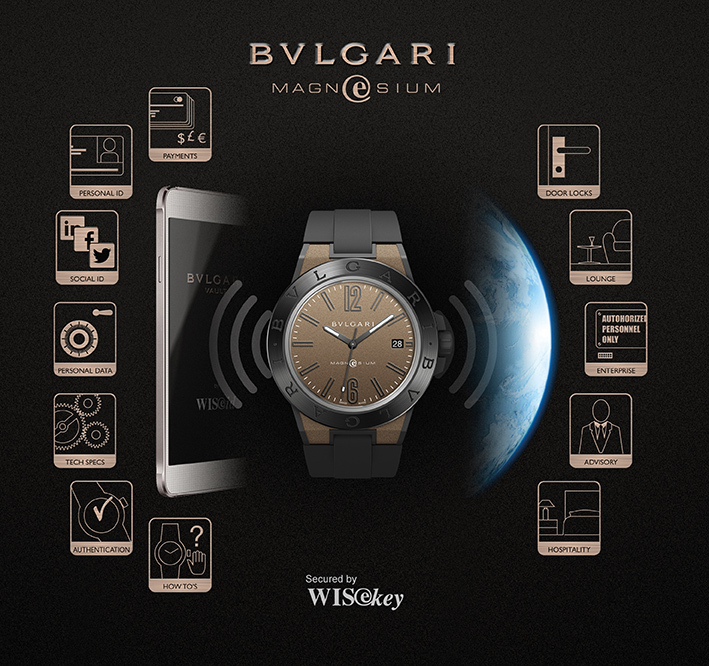 The watch has a cryptographic chip and an NFC antenna which enables it to transmit a digital certificate to a Bvlgari app installed on your phone. The intention is that you should be able to store codes in the app or in the future, when applicable, you could automate calls, open doors, transmit payments and business cards. This feature is a result of a partnership with fellow Swiss breathren, WISeKey, which is a digital security and data storage company. NFCs are supposed to be secure but mostly because their signals are very short and you would need to touch devices to transmit data. However, it could be argued that more may be required to discourage a future ‘data’ pickpocket. Anyway, this is a very smart decision on Bulgari’s behalf and I can for-see most luxury brand touting a NFC magic wand luxury wristwatch in their arsenal. All of this, however, is privately unravelled in their press packet where they decided to write an entire egotistic missive on how this is not a gadget and “it’s a nail in the coffin in the debate about the connected watch”. Note that the word ‘smart’ is discounted and then later in the release, they call their watch an ‘intelligent luxury watch’ and the rest of the competition, mere ‘game consoles’. Then it goes on to tout its historical tradition of ‘daring’ and its ‘italian origins’, going as far as to reference the ‘genius of Leonardo Da Vinci’. The drunken stupor eventually ends. Trash talking as a marketing strategy aside, this is a good watch – light, sturdy case with a nice texture insertion and dial that come in a choice of four colors anthracite, chestnut brown, silver-toned and blue. The textures are made from magnesium and PEEK, coated with ‘Motorlac’ lacquer to protect it from oxidizing. The price starts at 4000 Euros. I enjoyed reading this blog post. It was informative.. Keep doing this great work.. Thank you.. This looks way better than the Apple Watch. That looks like an iPod nano with straps. If it does what it says, it truly is a smart watch. And it still looks very sleek and stylish. Informative read. Thanks for posting! I recently bought bailey stainless steel watch. It’s very sophisticated, perfect for any occasion. All types of watches like stainless steel watches, multi function watches, automatic and day date watches etc are available. Buy now at visit http://www.omaxwatchcompany.com. This looks way better than the Luxury Watch. That looks like an NATO with straps. 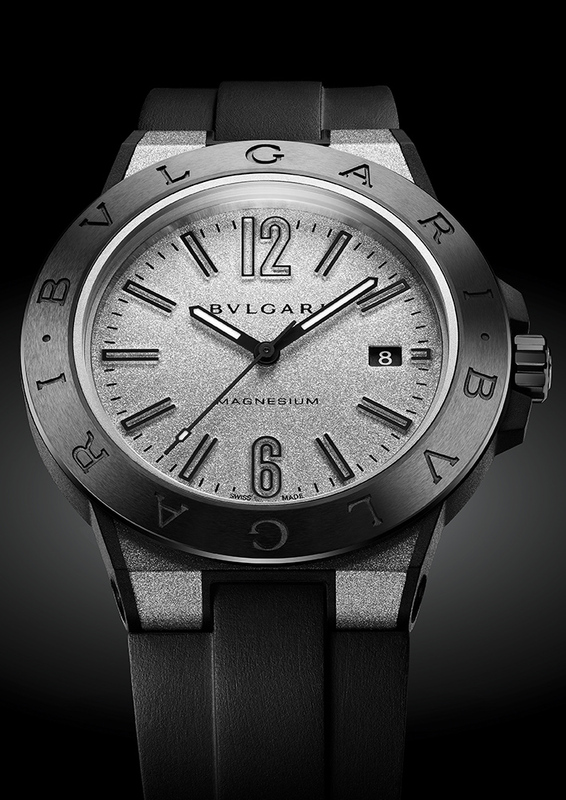 Not really a big fan of bvlgari but I definitely love this timepiece very much! 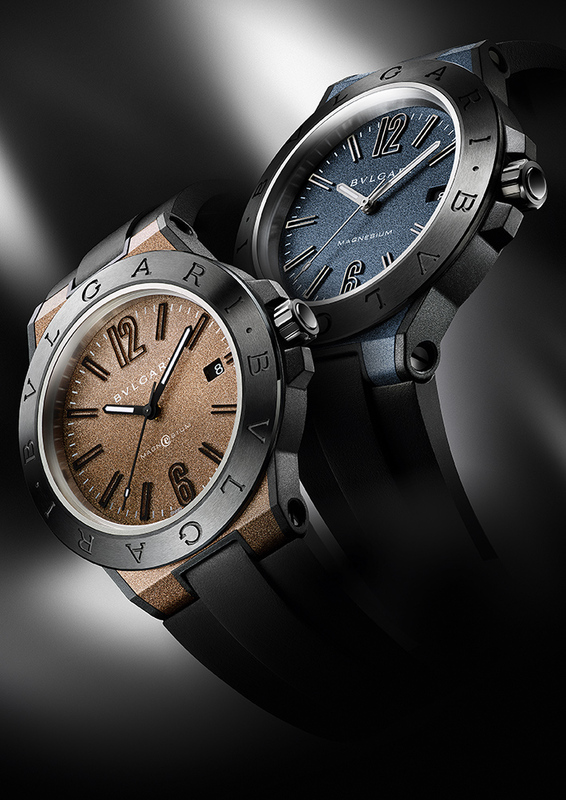 I hadn’t actually heard of Bvlgari before but these do look like very nice watches. My favourite would be the blue dial. 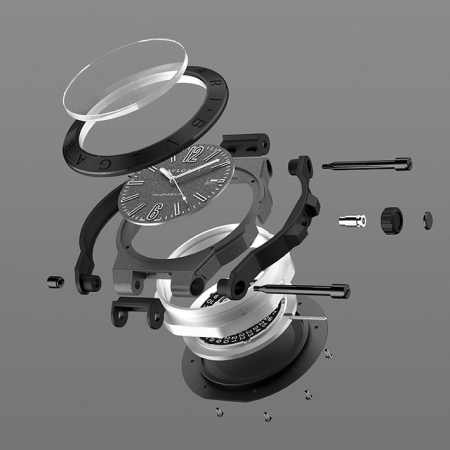 What effect is that on the dial, it looks awesome. OK just seen, ‘engine finishing’ hadn’t heard of that before either. I personally feel like i’d go for another watch if i had a 4000 budget though. What’s your opinion on this OP? 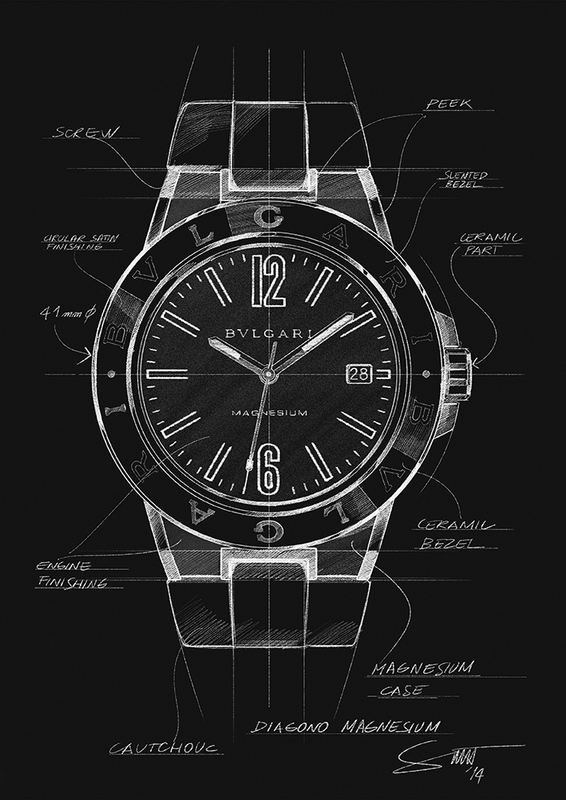 I like Bvlgari’s Smart Watches. I like this watch and I’m rooting for it. Planning to refer it to my friends and probably it will be a squad goals for us I love reading articles about watches and I find this http://www.thewatcheszone.com/ as a reliable source of information about watches regarding on what’s the trend watches and etc. 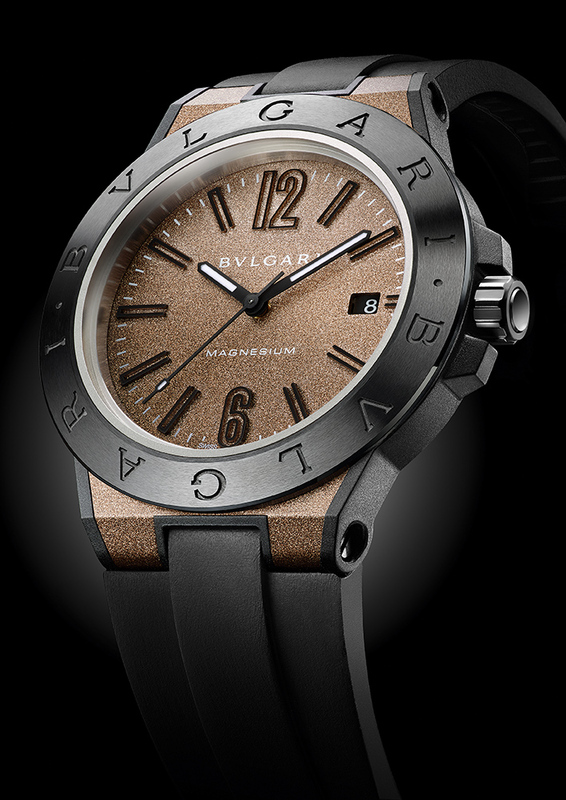 I don’t wear bulgari usually, but I liked this timepiece you mensioned very much!